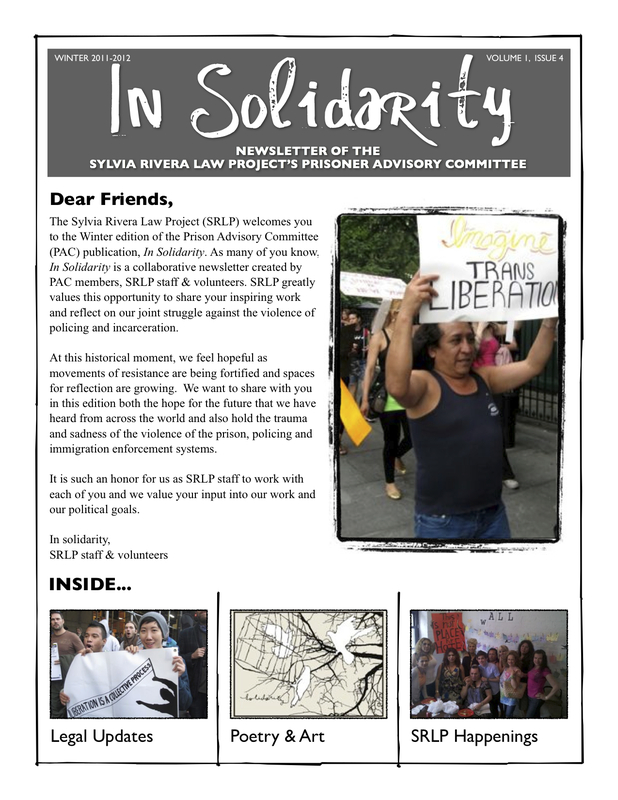 In Solidarity is a collaborative newsletter created by members of SRLP’s Prisoner Advisory Committee, who are involuntarily locked away, SRLP staff & volunteers. Together our words & collective efforts work against injustice for low-income and/or people of color who are trans, intersex & gender non-conforming both inside and out of the prison industrial complex and towards gender self determination for all. 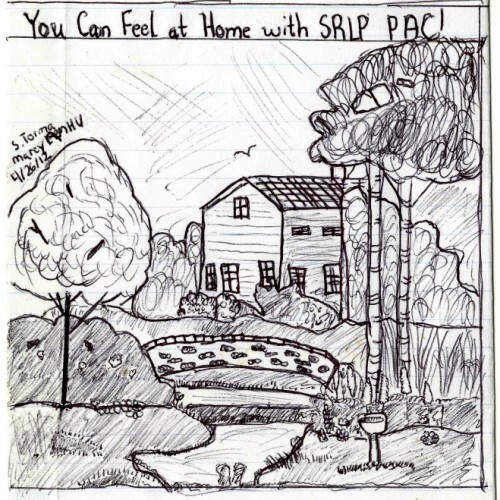 Additionally, this newsletter has always been a critical way for SRLP staff to connect with & inform the general public of the Prison Advisory Committee. Because In Solidarity is an annual publication and we receive more PAC member submissions than we can print, we are excited to share additional PAC member submissions online. Please check out the submissions below and visit our PAC Art Gallery (Coming Soon!). Please note that the ideas, experiences and opinions expressed in In Solidarity are solely those of the authors and artists and do not necessarily reflect the views of the Sylvia Rivera Law Project. The Sylvia Rivera Law Project makes no representations as the the accuracy of any statements made in In Solidarity. Authors and artists bear sole responsibility for their work. With onions and garlic beside it. When you finally enter the house. And feast like a king. In the 2012 edition of In Solidarity PAC members were invited to participate in a Self-Love Letter Project. 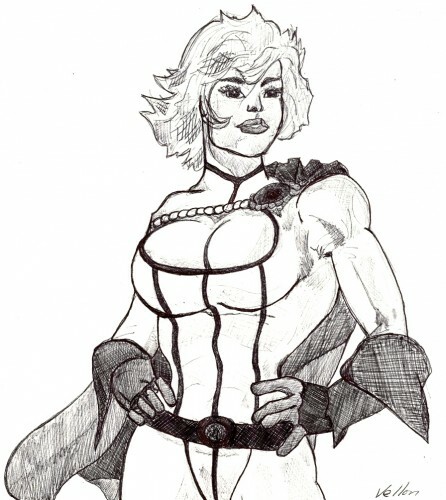 Here is the first submission received for that project. I love the way that you keep strong through all the ordeals you have been through. No matter what happens to you, you always have that smile “so beautiful” on your face. I admire the way that you handle yourself against all the discrimination that rises up against you. That poem that you wrote “A BRIGHTER TOMORROW WITH FRIENDS WHO CARES” and was published in December’s In Solidarity through SRLP proves the strength that you have to carry on. SRLP must have loved it to, because it’s in a copy of In Solidarity. Do you know that about sixty plus friends have a copy of In Solidarity? So all of them read your poem. That poem of yours I bet gave them all a feel of their hopes going up. They believe that tomorrow will be a brighter day for them. And Katherine, I know how you felt after you read your poem in the In Solidarity. You are so happy because for two reasons: 1) Is that you care for all the people in our way of life and you wanted to give their hopes a lift with that poem. 2) Is that you have never had anything in your whole life publish for a big group of people to read. Katherine, do you remember your first copy of In Solidarity back in the fall of 2009? Do you remember the one story in there called “Know your place” by Kelly McTiernan. What did you do and say after you read her story? That’s right, it was so powerful that you cried and made a vowel that you will help fight for all the GLBT individuals for their rights. You also said that you hope that one of these days, you would like to meet Kelly McTiernan, wrap your arms around her and tell her that she isn’t alone anymore. She has sixty plus friends by her side now. I told you Katherine that one of these days you will meet her and tell her all of that. Go and fine your fall 2009 copy of In Solidarity and read Kelly’s story again like you do once in a while. Remember when your start feeling down, you grab that issue and read Kelly’s story. After reading it, it makes you feel better. Katherine, I think that you should send in that poem that a friend sent into you about a “Rainbow.” I believe that all the volunteers and all PAC members at SRLP will like it. You submit it to In Solidarity. They will all like it. Well Katherine Marie Brown, it’s time for me to sign off for now. Just remember to always stay strong like you’ve been. And just concrete on getting out of prison and supporting your friends at SRLP and PAC members. Anything else worry about when you get home “which I know that home for you is hopefully in New York City with your friends.” Also remember that I love you and admire you for your courage. Until next time! Are you interested in supporting the work of the Prisoner Advisory Committee? Read it! Print it! Tweet it! Share it! Or, maybe you have other thoughts about how you’d like to help advance the work of PAC?